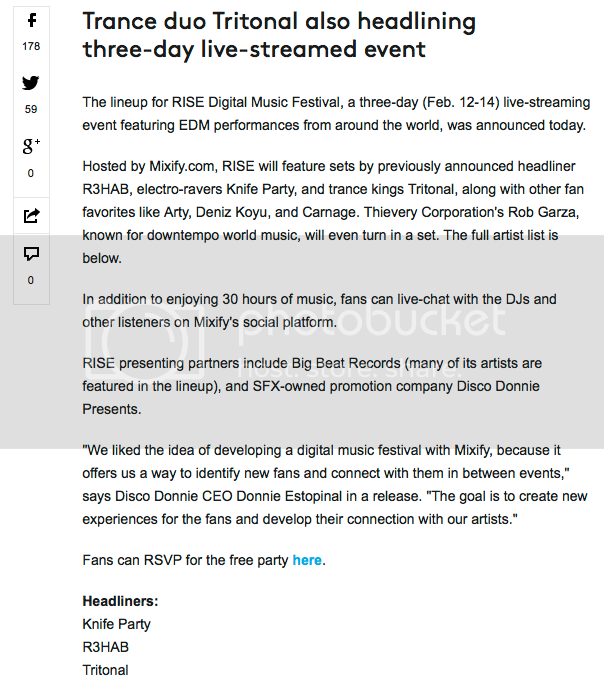 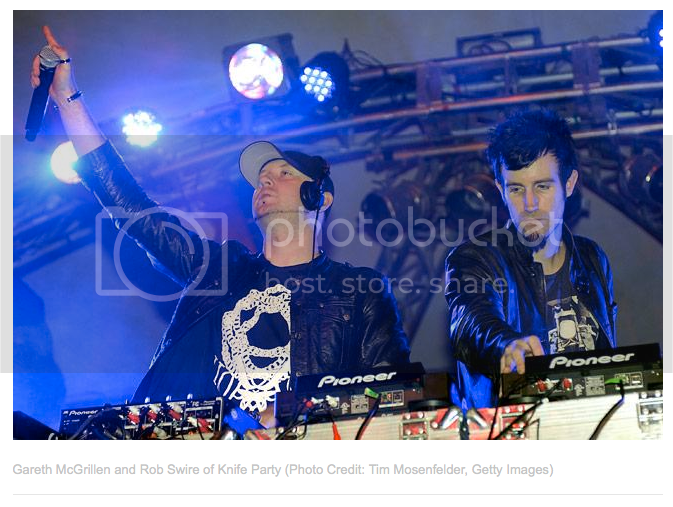 It’s been a great week for our Tech PR client, the world’s never-ending electronic music festival: Mixify.com. 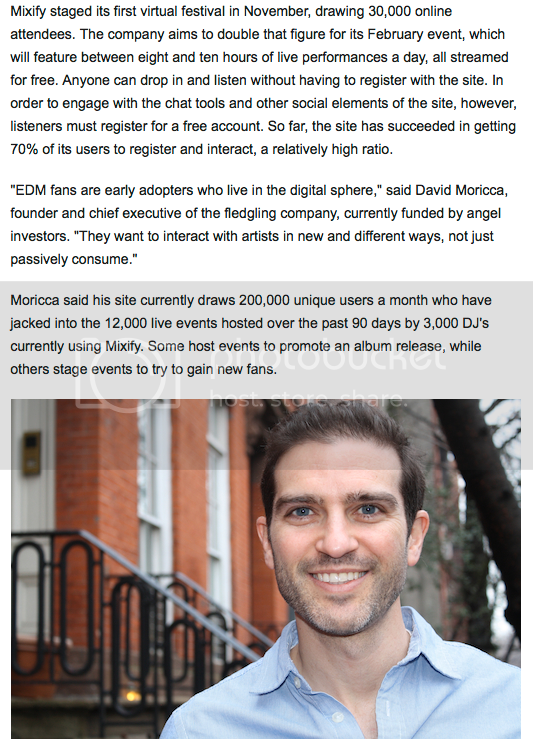 In conjunction with their upcoming event, RISE Digital Music Festival, we secured two exclusive stories with Billboard Magazine. 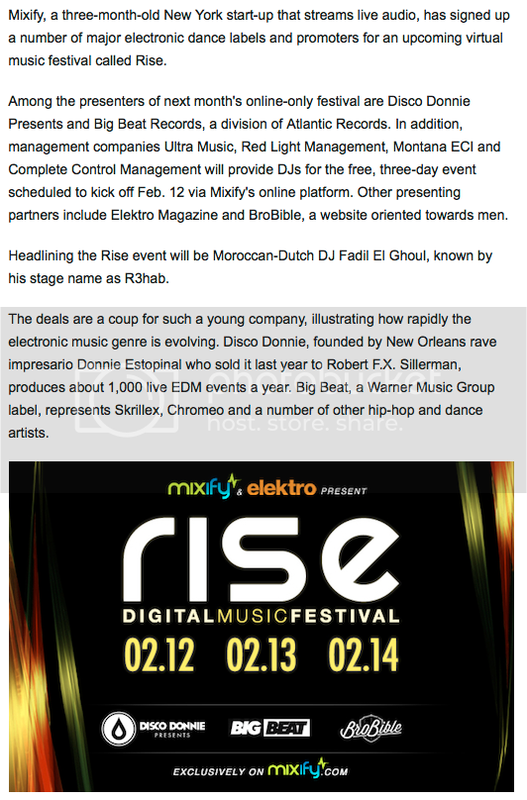 The first was a business-centric story, announcing their impressive new partnerships in the EDM space, the second was a consumer-facing story, announcing the line-up for RISE fest. 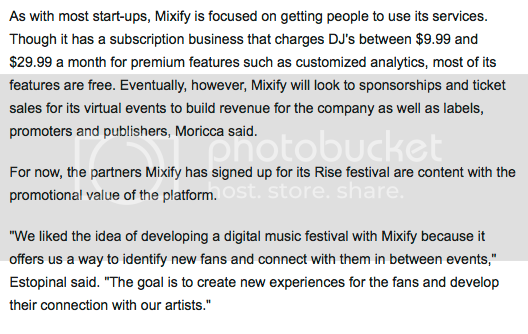 For more information, check out www.Mixify.com.